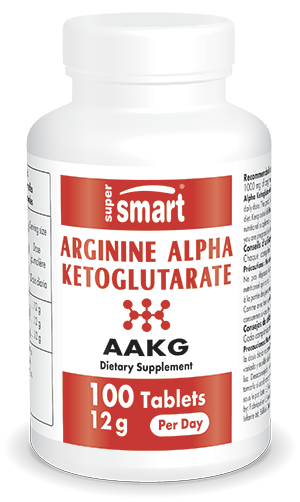 The nutritional supplement Arginine Alpha Ketoglurarate provides an optimal level of 1000mg of AAKG per capsule with a suggested dose of between three and 12 capsules a day depending on individual need. If in doubt, seek advice from a therapist on the right dose for your particular needs. Other arginine supplements are also available from our catalogue, such as the supplement L-Citrulline, a natural arginine precursor, and the complex Acetyl L Carnitine Arginate, which combines arginine and carnitine, another amino acid involved in cellular energy production.